The capital of Germany dates from the 13th century, divided during the Cold War, but reunited again in 1989, this city is a major center of politics, culture, media, and science. 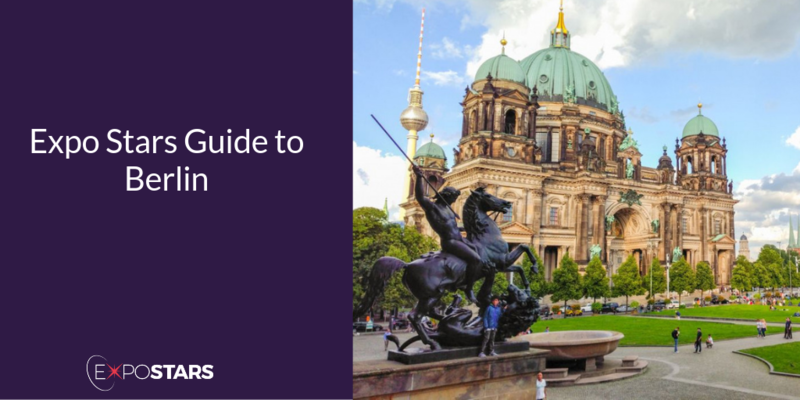 Despite the devastation wreaked upon it in WWII and the following decades with the infamous Berlin Wall, the city has been rebuilt in such a way that celebrates its successes whilst acknowledging a dark history. Because Germany has been resilient with an economy which has seen steady growth and relative stability, whilst the rest of Europe has certainly had its problems in recent years. There are two main airports in the city: Berlin Tegel (TXL), located in the northwest and Berlin Schoenefeld (SXF), located in the southeast. Both are accessible with the public transport system very easily. The Brandenburg Gate. Once a symbol of a divided nation and now a symbol of unity and peace. The Berlin Wall Memorial and Checkpoint Charlie. Today, only small stretches of this graffiti-covered travesty remain, including a 1.4 kilometer stretch preserved as part of the Berlin Wall Memorial. Rutz Restaurant & Weinbar - This two-Michelin-starred restaurant offers refined fish and meat dishes (pike caviar, goose liver, pork chin) matched to wines from one of the city’s best cellars. Grill Royal - Enjoy a steak here, which range from Argentine and Australian to German and French. Or tuck into the Claire oysters, herbed veal chop or ravioli, all are equally top-notch.